Get notified when Governor’s Ball tickets are available! 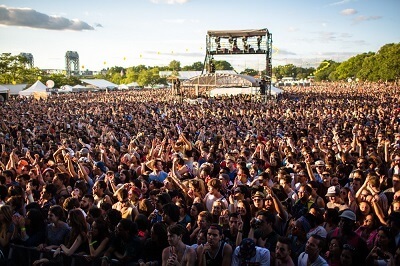 The Governor’s Ball Music Festival takes place June 5th through the 17th in Randall’s Island New York. It has been held since 2011, and features four main genres: hip-hop, electronic, alt. rock and indie. However, there are other genres represented as well. The festival also features games, booths, arts and food trucks and much more. The first year that this festival was held it was only for one day and it featured some pretty great acts including Mac Miller, Big Boi, Pretty Lights, Das Racist and Reptar. The 2011 event had the highest attendance of any event ever held in Governor’s Island. Get your Governor’s Ball tickets now for this year’s amazing festival.